Located in the heart of the Panhandle of Florida lies one of Destin’s best kept secrets that unknown to many who visit, has a large tie to Destin’s history. The Destin family and Destin, Florida have been intertwined since Dewey Destin’s great, great grandfather, Leonard Destin, founded the town in 1835. The adventure began when Leonard Destin, his father, George, and his brother, William, set out from New London, Connecticut with three ships. Unfortunately, after running into a hurricane near Cape Canaveral, Florida, two of the ships, including both Leonard’s father and brother, were lost at sea. As Leonard continued on, he came upon the beautiful shores of what would now be called "Destin." Just like that, the world's luckiest fishing village was born. The Destin family now honors Leonard's love of the water by serving fresh seafood in their restaurants along the Gulf Coast. 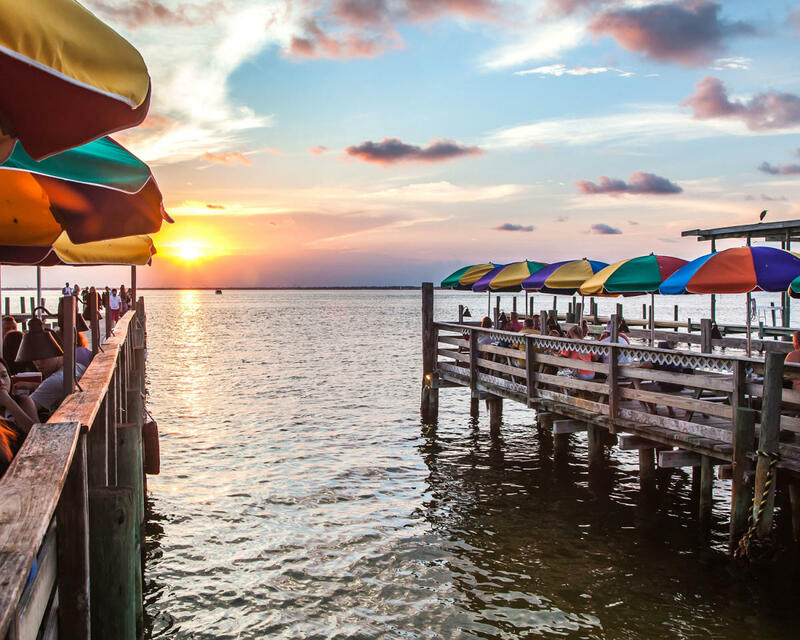 Nestled off of the bay, the original location of the three family-owned and operated Dewey Destin's Seafood Restaurants has provided the Gulf Coast with fresh, sustainable seafood for over 17 years. Travel down their gravel road or tie up your boat to their pier to experience the tranquility and ambiance of old Florida. 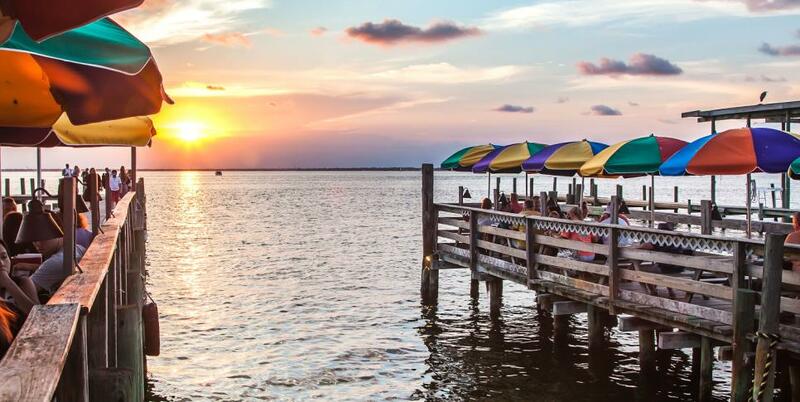 Situated on a quaint dock on Choctawhatchee Bay, Dewey Destin’s Seafood Restaurant provides gorgeous waterfront views and the best seafood in town. With a more casual atmosphere, at this location, you do not have a server, but rather order at a window, grab a seat, and take in the view. Open seven days a week, Dewey Destin’s Seafood Restaurant is home to award-winning fried shrimp, lunch specials, delectable dinner entrees, and cook your catch options. Dewey Destin’s Seafood Restaurants offers two more locations, Dewey Destin’s Harborside Restaurant also in Destin and their newest location, Dewey Destin’s Navarre Restaurant.